“Our reputation is built upon the success of our pupils. We have the expertise to support them through their exams and the experience to guide them towards the ideal university for their future”. The Senior School runs from Year 7 to Year 13 through Key Stage 3 (Year 7 to 9), Key Stage 4 (Year 10 and 11) and Key Stage 5 (Year 12 and 13). 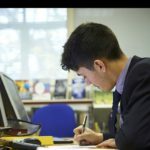 When pupils move into the Senior School they are taught by individual subject teachers and classes are more focused on formal subject based learning. IGCSE and A Level examinations are taken at the end of Key Stage 4 and Key Stage 5 respectively. In Key Stage 3 pupils continue to benefit from a broad and balanced curriculum which includes mathematical, scientific and technological, linguistic, human and social, creative and literary, physical and moral and spiritual areas of learning. The combination of breadth and depth of study is at the heart of the School’s philosophy, ensuring that pupils experience the full breadth of academic opportunity and challenge before making key decisions when selecting their IGCSE and A Level options. This breadth of study means that no long-term university or career plans are closed at this early stage of Senior School. As pupils get older and move into Key Stage 4 they begin to focus on their preferred subjects. IGCSE exams are taken at the end of this stage in different subjects. In Key Stage 5 the School remains firmly committed to traditional A Levels which are accepted by universities around the world. Pupils who have successfully completed their IGCSEs will select their preferred subjects to study in Year 12 and 13 which will prepare them for university and then the start of their careers. Their subject selection at this stage will influence their choice of degree course at university. We take pride in supporting all our pupils through the exciting choices and the hard work that goes into the last two years at the RGS. 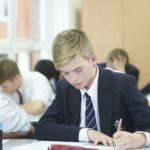 Although mindful of the demands of formal examinations towards the latter part of Senior School, the emphasis remains on encouraging pupils to explore beyond the formal curriculum and continuing to develop a true love of learning. Universities are increasingly looking at the whole person, not just examination results.